This outdoor playground has one mission in mind: to get everybody drenched. There are water tunnels, stepping springs and various jets your pint-sized terrors – or your mischievous side – can use to hose everyone else down. Even toddlers can get in on the aquatic action, with a safe play zone you’ll feel comfortable letting them roam around freely. 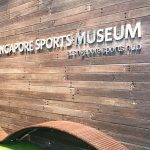 Visitors at the Singapore Sports Museum will experience a fully immersive exhibition as they are taken through an educational experience that will transport them into a world of sports. 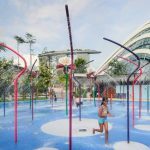 Through exciting, engaging and interactive elements that they have never experienced before, visitors will have the chance to learn and develop their interest in sports. 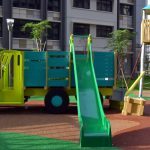 For Body-Smart kids who love to role-play as soldiers in action, this Military Themed Playground will most certainly fit the bill. Your Body-Smart kids will be able to develop courage and improve body balance whilst they role-play as different military roles and attempt different obstacles at the playground. Fitness enthusiasts can warm up at the various fitness corners and exercise stations before jogging around the park. Alternatively, walk on the foot reflexology footpath for a relaxing foot massage. You can also bring your kids there to have a go at the swing and zip-line! 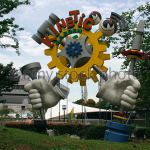 Allow your Body-Smart Kids to discover the inter-relationships between the different forms of energy and much more, through interactive and interesting exhibits like the Magic Swing and Sundial. Your Body-Smart Kids can find out their own weight simply by walking the plank! The Magic Swing is another feature your Body-Smart Kids can try. They will get to experience the back-and-forth transformation of potential to kinetic energy, whilst observing how energy can be transferred from the swing to a pendulum that is connected to the swing! Wallholla is a vertical playground made up of undulating ribbon-like layers. 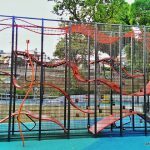 It encourages your Body-Smart kid to climb, hang, swing, slide, run, jump, hide and come up with creative ways to have fun with the playground. No worries about overcrowding, as the play structure can hold up to 30 children at one time! Surely, it will be a fun time bonding and getting to know other Body-Smart kids during the play too. 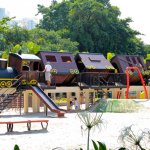 There are 8 such playgrounds that can be publicly accessed in Singapore. Find one near your place and try it out now! – Definitely a Sweat-It-Out time!! Address: The 2 preferred starting points are at the Visitor Centre Carpark at Hindhede Road, and at the Dairy Farm Car Park. 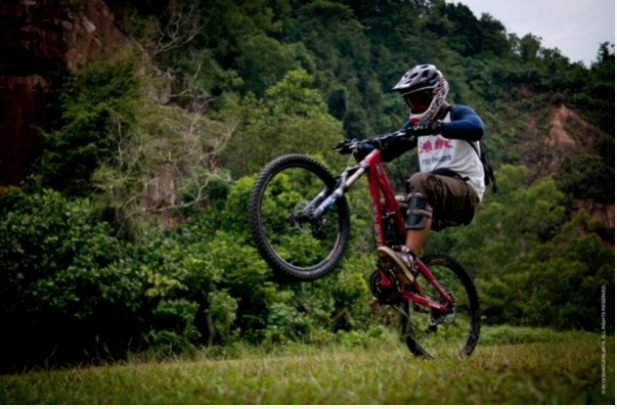 – The oldest mountain bike trail in Singapore. – Rated as an Orange grade trail (moderate to difficult), the total distance for the loop is 6km. – Super thrilling climbs and downhill runs to satisfy all riding levels. It doesn’t matter if you’re a tourist or a local. Those interested in knowing more about our roots will enjoy Singapore’s story being told over a 2 hour 30 minutes-long walking tour. No reservations are necessary – just show up at Raffles Place MRT Exit B at street level on Saturdays and Sundays, rain or shine. 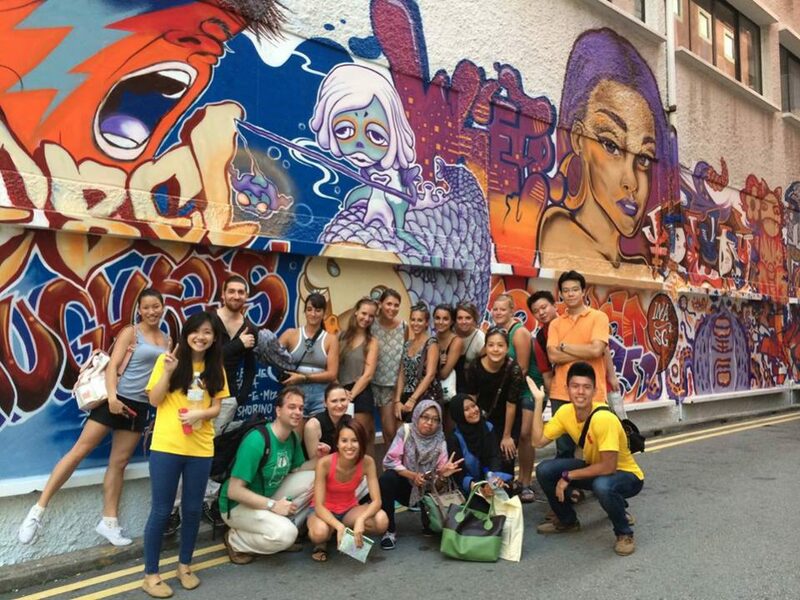 They have two tours – the first highlights hidden treasure troves in the historic Bras Basah & Bugis precinct. The second explores the civic district and the scenic banks of the winding Singapore river. 10. Be a firefighter for a day! 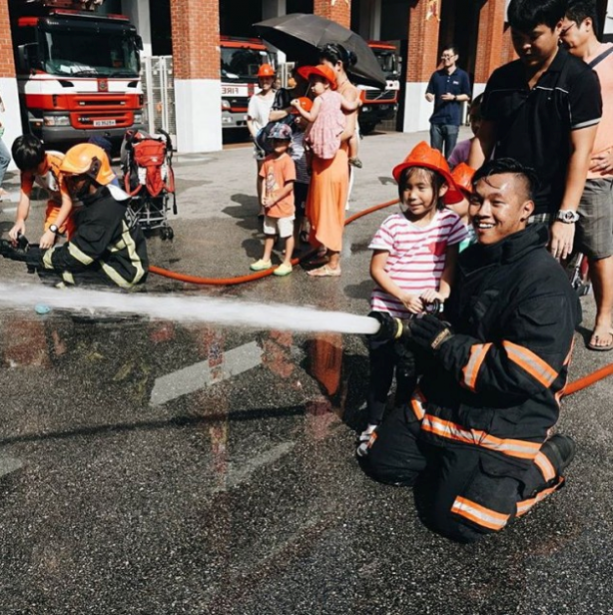 List of fire stations: Alexandra, Ang Mo Kio, Bishan, Bukit Batok, Central Fire Station, Changi, Clementi, Jurong, Paya Lebar, Sengkang, Tuas, Woodlands, Yishun. Firefighters risk their lives for the safety of others but what aids them in such acts of bravery is unfamiliar to many. To learn more about these noble men and women, head down to any fire station around the island on any Saturday between 9am and 11am to attend a Fire Station Open House. You’ll be given an hour-long tour around the interior of the fire station, where you’ll learn about how the various vehicles and equipment – including the famous fireman pole – are used. One of the highlights is being able to witness the strength of the water hoses and getting the opportunity to try them out – they’re not like your ordinary garden hose, so don’t be surprised if you get wet! Fun fact: The Central Fire Station is the only station with a mini museum. For more information, check our the Facebook page here. It’s like being Dora The Explorer, just with a more high-tech map – your smartphone. 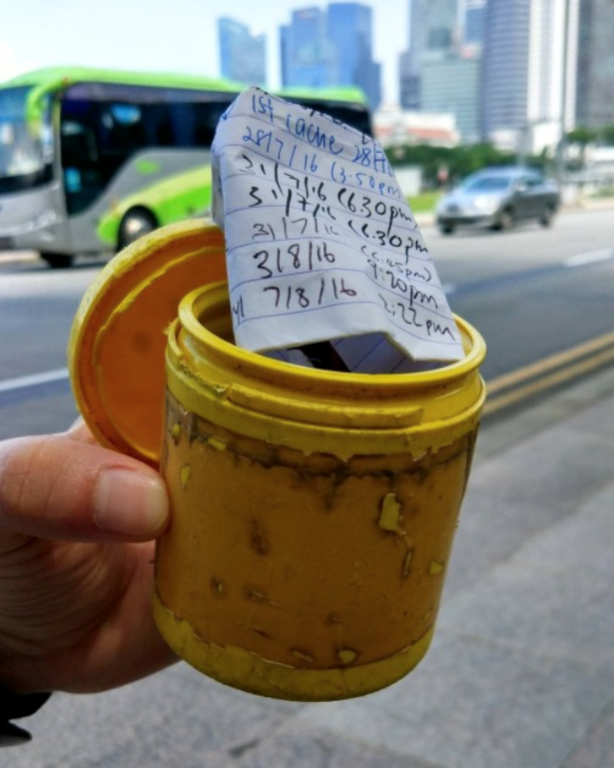 Geocaching is a real-life treasure hunt, where you download a Geocaching app and select a cache to find with the given GPS coordinates and clues. It’s easy to get to the various locations, but searching for the cache itself can be quite a challenge. It could be anywhere – on a tree, under a rock, buried in a hole even. Once you’ve found the cache, you sign the logbook inside as a mark of your achievement and you might even be rewarded with a small token hidden inside. Of course, don’t expect to find a chest full of gold coins – but you’ll get to explore parts of Singapore you never knew existed! Geocaching is a high-tech treasure hunting game played throughout the world by adventure seekers. The basic idea is to locate hidden containers, called geocaches, outdoors and then share your experiences online. Learn to play handball, beach volleyball, basketball and various other ball games at the Sports Hub! Have a fun time trying out and discover your sporting interests! Learn-To-Play and FIT-sessions are FREE all-inclusive, in-house community programmes for everyone! Join our Learn-To-Play sessions and pick up a new sport with certified coaches and equipment! Explore our schedule and register online now to get a taste of the action! 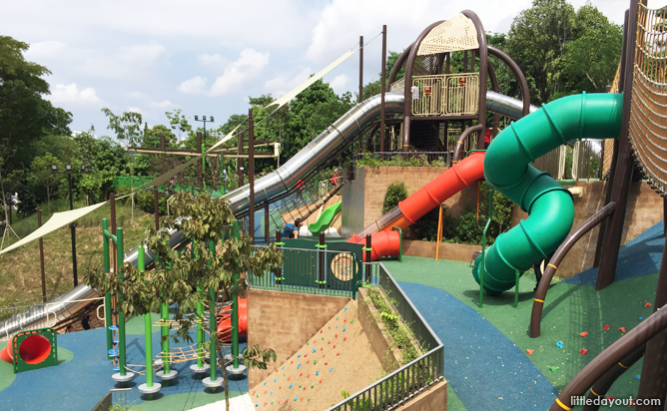 The newly opened Admiralty Park Playground takes advantage of Admiralty Park’s hilly terrain, turning the area into a magical, multi-tiered playland filled with slides, burrows, bridges and more slides that children will go crazy over. 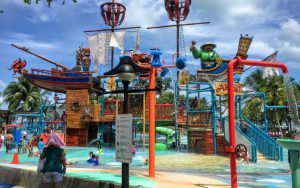 Palawan Pirate Ship has everything you want in a water theme park, and its completely free! Soak in the fresh waters during a hot Singaporean day and be sure to have fun! 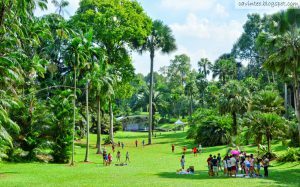 Pack a picnic basket for a day out at Singapore Botanic Gardens, a 150-year-old park that spreads over 74 hectares! Be sure to visit the National Orchid Garden, which features more than a thousand species of orchids. And of course, be with the best of mother nature.